A BEAUTIFULLY RESTORED AND IMPRESSIVE DETACHED PERIOD FARMHOUSE WITH LOVELY GARDENS AND GARAGING LOCATED IN A POPULAR RURAL HAMLET WITH STUNNING VIEWS. From Shrewsbury proceed north along the A5 to the main island at the start of the Nesscliffe bypass and take the third exit heading for Nesscliffe village. Proceed through the village and then after about a mile take the first turning left for Kinton. Follow this lane through the hamlet and the property will be seen at the far end on the left hand side. 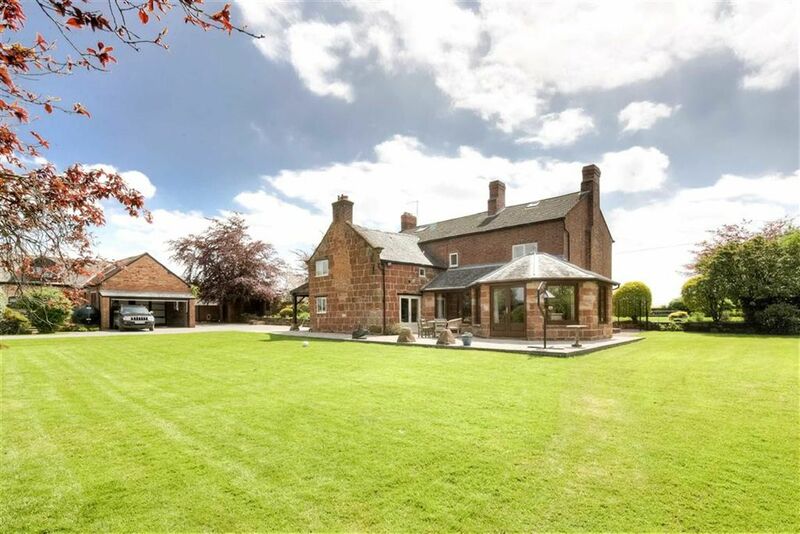 Kinton Farmhouse is situated in a particularly attractive rural hamlet, approximately equidistant between the county town of Shrewsbury and Oswestry. Local amenities can be found at the neighbouring village of Nesscliffe including a garage with shop, pub/restaurant and primary school. Comprehensive amenities can be found at both Shrewsbury and Oswestry. A good selection of both private and state schools are available, including Adcote School for Girls, Moreton Hall, Packwood Haugh, Ellesmere College, The Corbett School at Baschurch, Shrewsbury School, Shrewsbury Sixth Form College and Prestfelde Preparatory School. 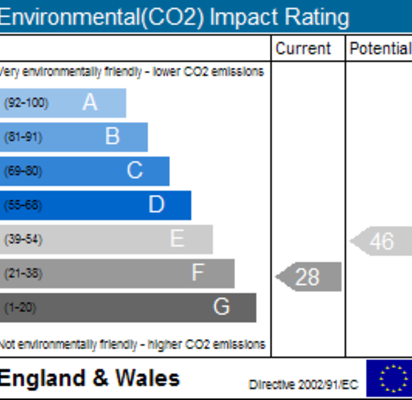 Regional airports are all easily accessible including Birmingham, East Midlands, Manchester and Liverpool. 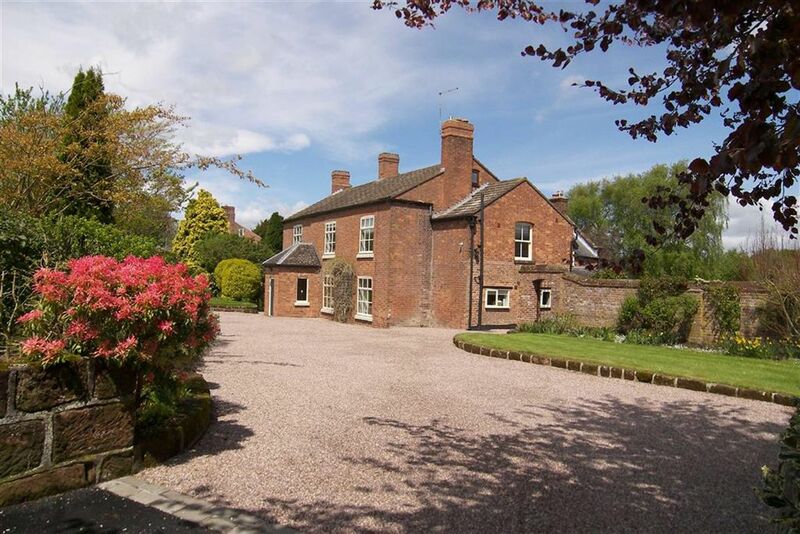 Kinton Farmhouse provides a handsome farmhouse, built of attractive mellowed brick and sandstone. The spaciously proportioned rooms combine the warmth of a period building including exposed wall and ceiling beams and Oak boarded flooring to select rooms. 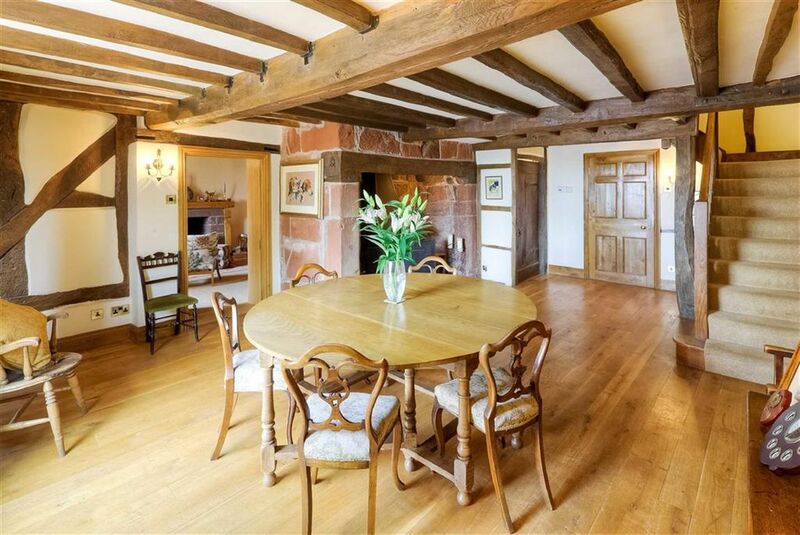 Further notable features include a stunning dining hall with a wonderful stone Inglenook fireplace. There is a generous size drawing room with open fire and twin doors opening through to the delightful garden room, which takes advantage of the rear garden aspect. 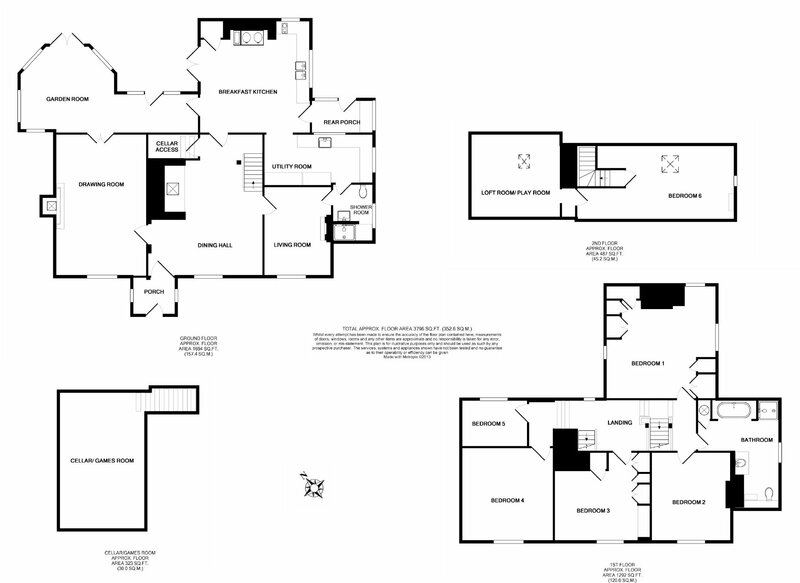 On the first floor there are 5 bedrooms and the landing is of spacious proportions and features an exposed Oak frame. A secondary staircase gives access to a useful sixth bedroom with an adjoining playroom or store, as required. Outside, the gardens are complimentary to the presentation of the house and include a rear terrace and a traditional stone summerhouse. With good head room having exposed ceiling beams, radiator. 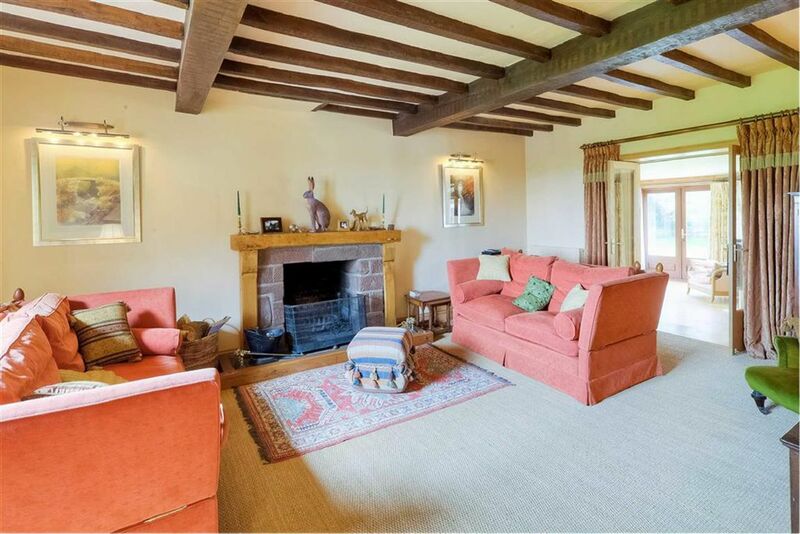 With exposed ceiling beams and exposed beams to part wall, radiator, attractive DEEP STONE FIREPLACE with Oak surround, slate hearth and DOG GRATE. Plus 12'5" x 6'1". An attractive 'L' shaped design, built of sandstone incorporating double glazed hardwood multiple windows with hardwood and glazed twin French doors and matching single door. 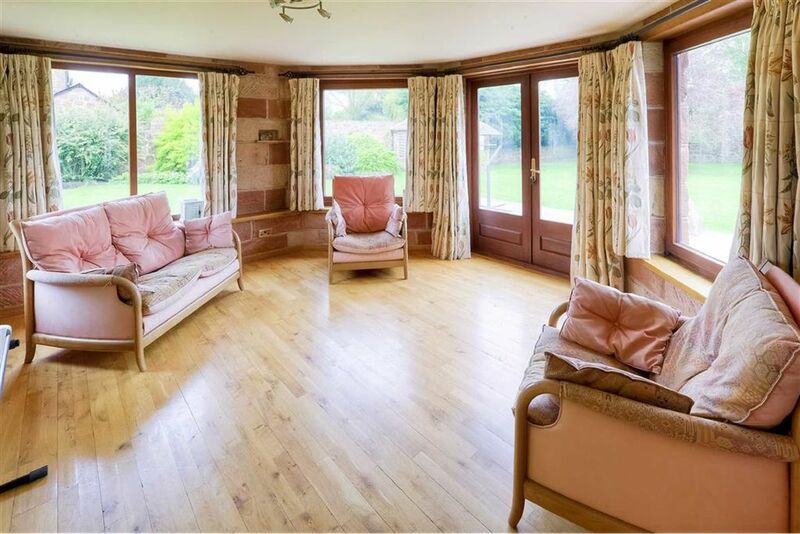 Oak boarded flooring, exposed internal sandstone wall features, underfloor heating, connecting door to breakfast kitchen. With Oak boarded flooring, brick fireplace with Oak mantel and fitted 'FABER' LOG EFFECT GAS FIRE, radiator, TV point. With 'Manor Stone' tiled floor, bespoke fitted Oak kitchen by David Orton, providing 'leather' granite work surfaces and matching splash, built in twin bowl 'Belfast' style sink with chrome mixer tap. BUILT IN 'NEFF' ELECTRIC INDUCTION HOB UNIT, a selection of base units, INTEGRATED 'BOSCH' DISHWASHING MACHINE, INTEGRATED 'BOSCH' REFRIGERATOR. 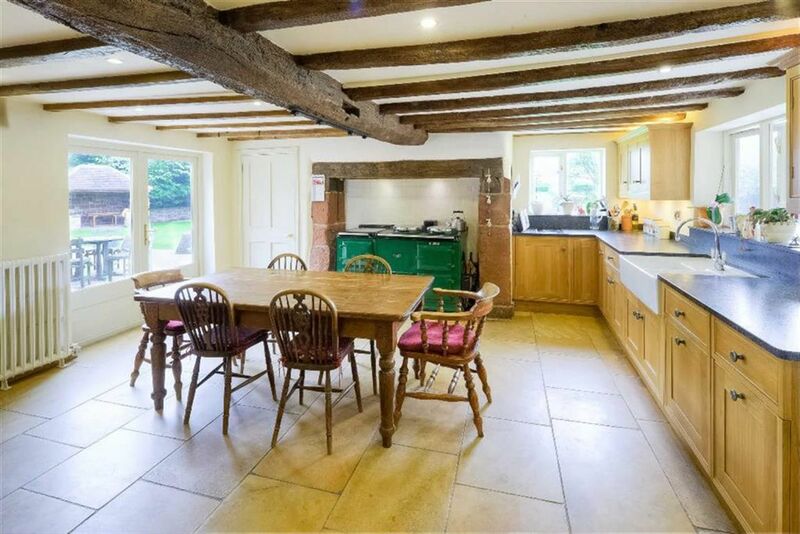 Stone and tiled INGLENOOK with Oak beam incorporating 4 OVEN 'AGA' COOKER (Green). Wealth of exposed ceiling beams and downlighters, radiator. Deep BUILT IN PANTRY CUPBOARD with slate cold slab and fitted shelving. With 'Manor Stone' tiled floor, part exposed ceiling beams and downlighters, matching bespoke fitted units by David Orton, including leather effect work surfaces with matching splash, built in 'Belfast' sink, telephone point. Selection of Oak base units, space and plumbing for washing machine and tumble dryer, purpose built larder unit including INTEGRATED REFRIDGERATOR AND FREEZER UNITS. 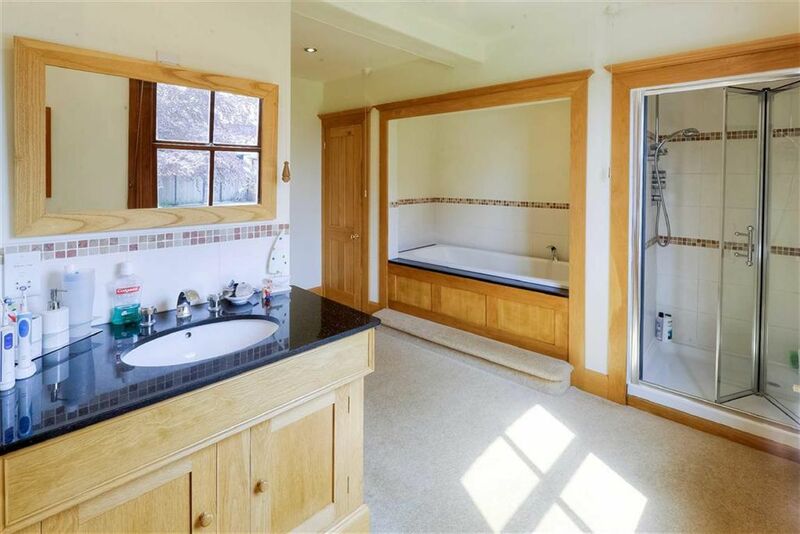 With 'Manor Stone' tiled floor, tiled shower cubicle with direct feed shower unit, pedestal wash handbasin, close coupled WC, radiator with heated chrome towel rail, extractor fan. With 'Manor Stone' tiled floor, fitted Oak boot cupboard. With Oak frame, stone flagged floor and cold water tap. Split level with radiator, staircase rising to second floor. With 2 fitted wardrobe suites, 2 radiators, ceiling downlighters with access to loft space. Bespoke design by Patrick Porter and finished in Oak trim, comprising recess with Oak panelled and granite surround bath having tiled splash. Tiled shower cubicle with direct feed shower unit and folding door. Vanity unit with granite surround to wash basin, tiled splash and fitted shaver socket, cupboards under. Close coupled WC, fitted toiletry cupboard, extractor fan, ceiling downlighters, radiator. Airing cupboard. With radiator and picture rail. Inclusive of extensive wall to wall fitted wardrobe suite incorporating dressing table with drawer units, radiator, built in linen cupboard. With sloping ceiling - restricted head height. The front entrance to the house is approached between attractive sandstone walling, which extends across its frontage. A sweeping gravelled driveway and parking area is provided. In addition, there is an alternative rear driveway leading off a shared tarmacadamed private access road. With lighting and metal up and over entrance door. External sited MODERN OIL STORAGE TANK. The property is set in delightful established gardens. To the front these border the driveway with dwarf sandstone walling to 2 lawned areas, backing onto deep flowering shrubbery beds, also incorporating a selection of trees. Gated access points lead around to the flanks and rear of the house with a generous size lawn incorporating a number of mature trees. TRADITIONAL SUMMERHOUSE with quarry tiled floor, lighting and wall heater. Adjacent to the house is a substantial FLAGGED TERRACE. 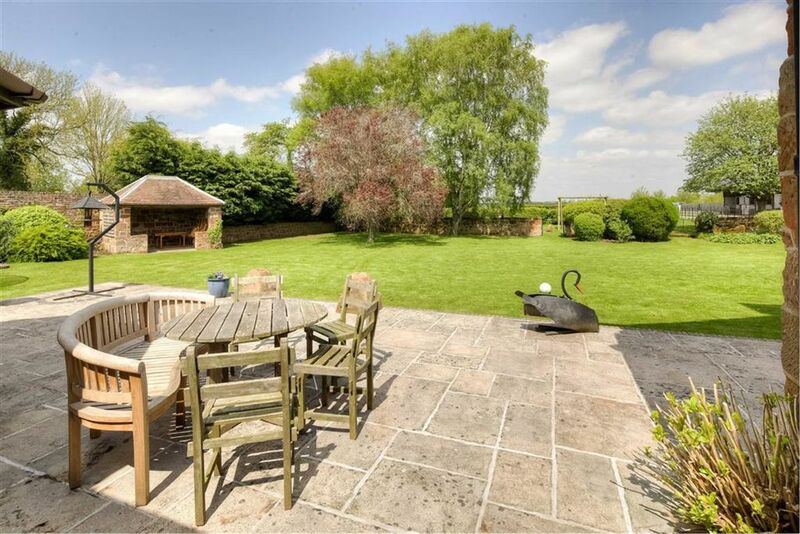 At the bottom of the garden is a gated access to a separate VEGETABLE GARDEN. Adjacent to the courtyard is a herbaceous border with sandstone retaining wall. Brick and slate GARDEN STORE (17'7" x 8'0"). 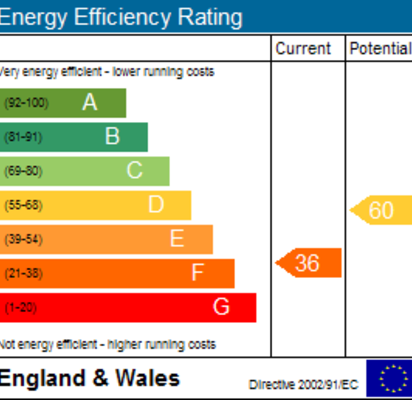 Mains water and electricity are understood to be connected. Drainage is to a septic tank. Oil fired central heating system to the house. None of these services have been tested. The property is available on an Assured Shorthold Tenancy Agreeement - length of lease by agreement.